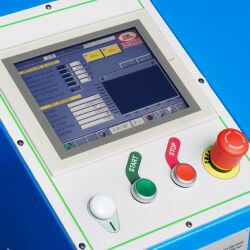 Test bench up to 800 BAR / 11600 PSI, BC800/WES provided with PLC automatic control (ES) ◊ and pneumo-hydraulic multiplier. 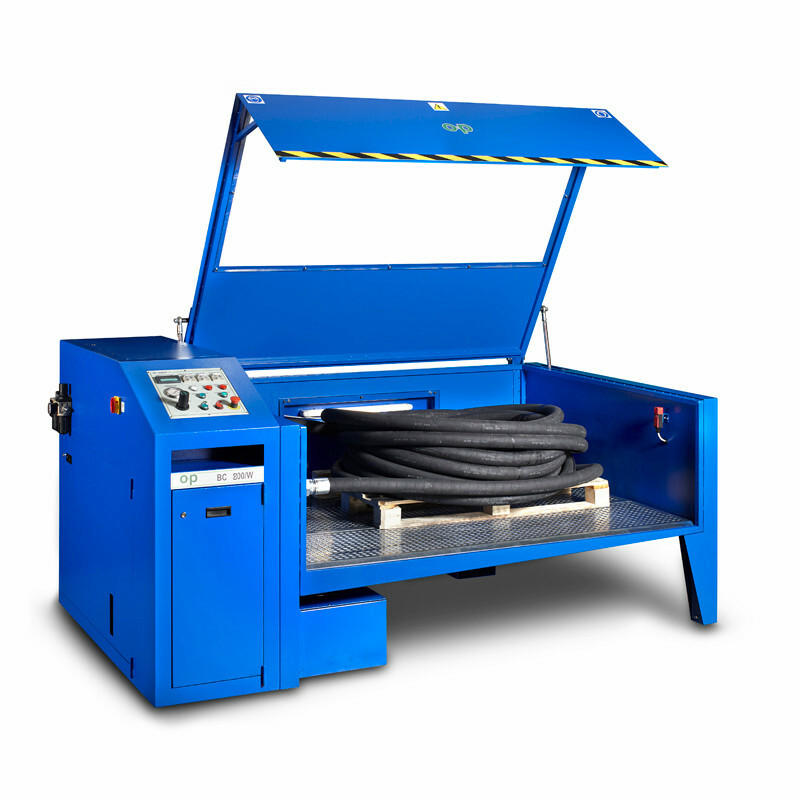 Ideal for testing palletised hose coils. This bench is provided with a big and sturdy lighted chamber, oil protecting mesh, shock-proof testing window with automatic opening-closing, control board and safety luminous signal. 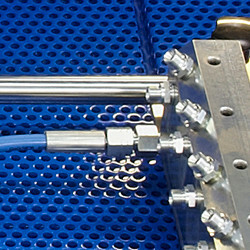 Chamber and components also available in stainless steel for water tests. Standard chamber dimensions: 74.860" x 59.055" x 28.346"
Bench dimensions: 103.149" x 70.078" x 60.236"